Happy New Year all! Hopefully your 2019 is off to a peaceful and healthy start. Here at the QHT headquarters, we started the year off pretty busy and that’s usually the case every January. For those of you who don’t know, here in Queens the market tends to slow down during the Holidays (i.e. Nov – Dec), but then as soon as the new year starts, our phones usually begin ringing. The same thing happened this year and so far we have several new buyers and sellers that are motivated and entering the market. 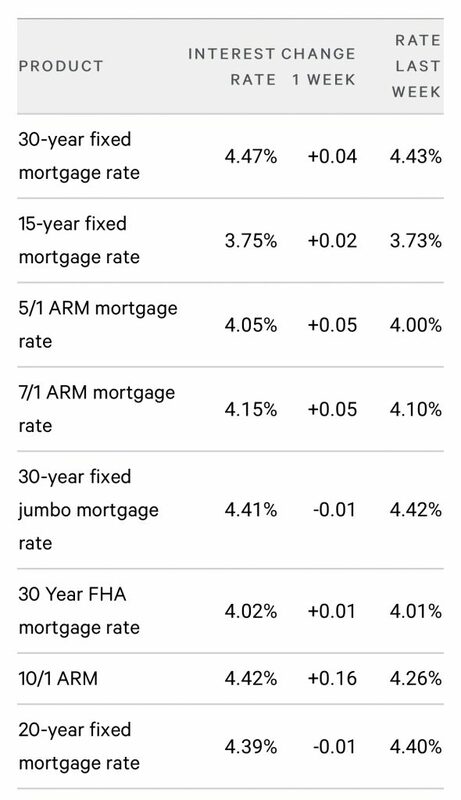 In case you haven’t been keeping up with the news recently, the biggest news in real estate this month is the fact that interest rates went down to their lowest levels in nine months. As soon as it happened we received emails from several lenders that we work with and they all urged us to notify all of our current, future, and potential clients about it. What it means is that it can potentially create more urgency for buyers who would like to lock in a low rate, and it may also spur some demand in the near future. Aside from the lower interest rate news, the other thing we’ve experienced so far this month is the same thing we were experiencing last year, fewer offers, and seemingly less motivated buyers. This month we put a few new listings on the market, all priced well and all in desirable neighborhoods. All of our new listings had very good turnouts at their first open houses (i.e. 20+ visitors), however, after such good turnouts, we only had a few offers for each one, and most came in below asking price. What seems to be different right now is the mindset of home buyers. In other words, just 2-3 years ago buyers would easily offer at or above asking price because they were scared of missing out or losing the deal. Now it seems that buyers feel like they have an advantage and are instead trying to get a deal. We aren’t sure if it’s the media, economy, or a combination of several factors, but buyers do seem to know that listings are taking a little longer to sell, and that price changes are becoming a lot more common. Regardless of all this, the good news is that there is still a lot of activity here in Queens. We are still moving our listings and Buyers are out there, but the ones that are making offers are going for the properties that offer the most value for the price. If you’re thinking of selling this year, now may be a great time to do so because the drop in rates will likely create urgency and spur demand while they are down. If you’re looking to buy, now is a great time to move on something and lock in a good rate. If you wait too long, you may end up with a rate at or above 5% like we were seeing for the past 8-9 months. Specifically, our Queens real estate market report January 2019 shows that Residential home sales were DOWN 19.9%, Condo sales were UP 20%, and Coop sales were DOWN 34% when compared to the same month last year. Over the last 12 months, Queens home sales are DOWN 5.2%. Thinking of Selling? Schedule a Free Listing Consultation to find out how to best prepare for the sale. 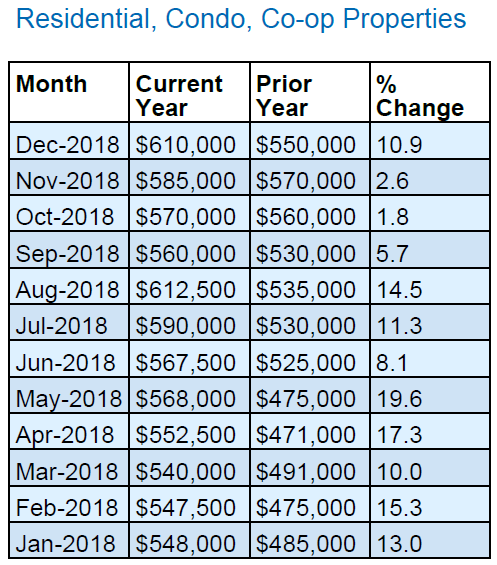 The median home price in Queens was $610,000 in December, that’s UP 4.3% from November, and UP 10.9% from December of last year. The median home price has increased by approximately $60,000 since last year. Specifically, our Queens real estate market report January 2019 shows that the median home price for residential homes in Queens was UP 5.3%, median home price for Condos was UP 14.2%, and the median home price for Coops was UP 5.3% compared to December of last year. Over the last 12 months, the median home price in Queens is UP 9.6%. Thinking of Buying? Speak with a local expert who can prepare & guide you through all the nuances of the Queens real estate market. 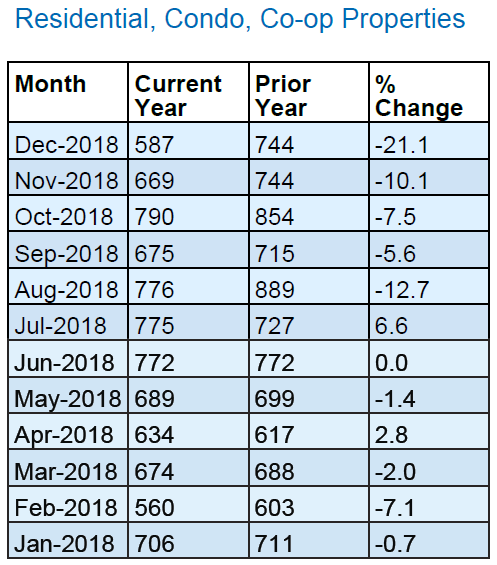 There is currently a 5.9-month supply of housing inventory in Queens, this is down from the 6.1-month supply we had in November, and UP from the 4.5 month’s supply we had at this time last year. There are currently 4,202 homes for sale in Queens. That’s DOWN 6.2% from last month, and UP 23.4% compared to this time last year when there were 3,404 homes for sale in Queens.